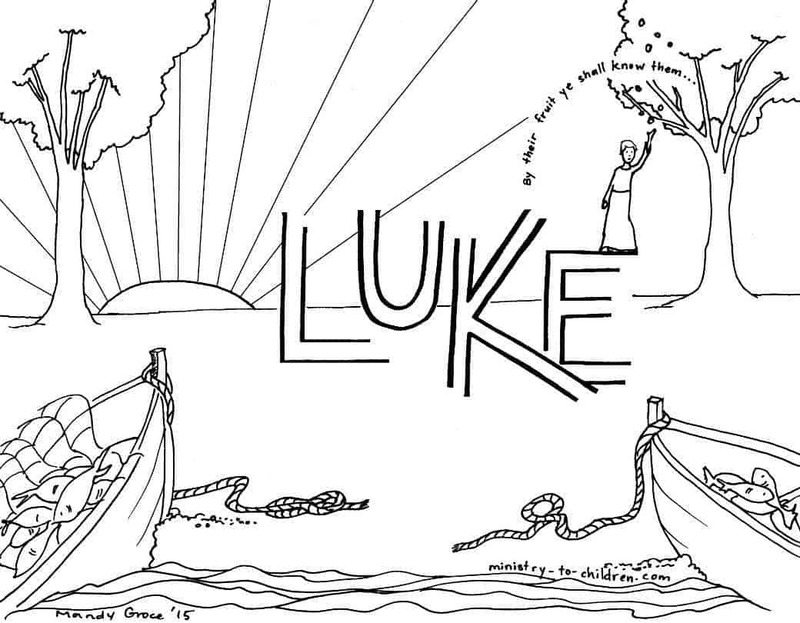 This free coloring page is based on the Gospel of Luke. It’s one part of our series of illustrations for each individual book of the Bible. The illustration shows two fishing boats along a sea shore with a man reaching up to a fruit tree. The quote reads, “By their fruit ye shall know them” and is inspired by Jesus teaching in Luke 6:43-45 about a tree and it’s fruit. You might also enjoy these Bible worksheets about the Gospels. You can also search our website for children’s Bible lessons based on the Gospel of Luke. Don’t miss all our printable Bible coloring pages for kids.